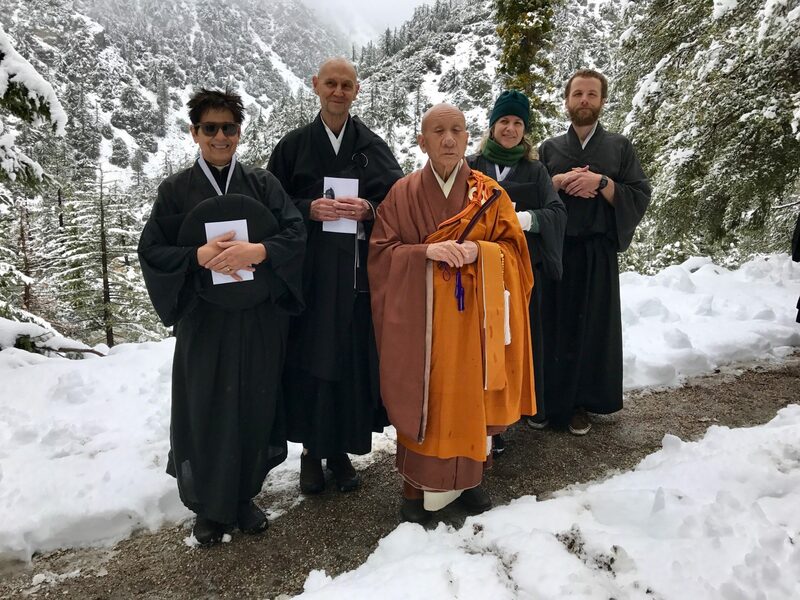 I’ve just returned from a 5 day retreat on Mt Baldy with Zen master Noritake Roshi. It’s an honor, a privilege and in many ways a miracle, to be able to train with one of the top Rinzai masters in the world at a location just one hour from my home in Los Angeles. I’ve trained in mindfulness and Zen for the past 20 years but as with each retreat I go on, this one illuminated a facet of practice I hadn’t fully appreciated before. The style of Rinzai is very far from mindfulness practice and the stretch is something I came to really appreciate over the years (especially with my mindfulness practice to support me during the long training days on Zen retreats.) Here’s what I mean about the style: mindfulness emphasizes internal structures – techniques and procedures that you can lean on to deepen your insight and strengthen your skillfulness in meditation. You can do these on your own or go to a retreat for immersive practice. 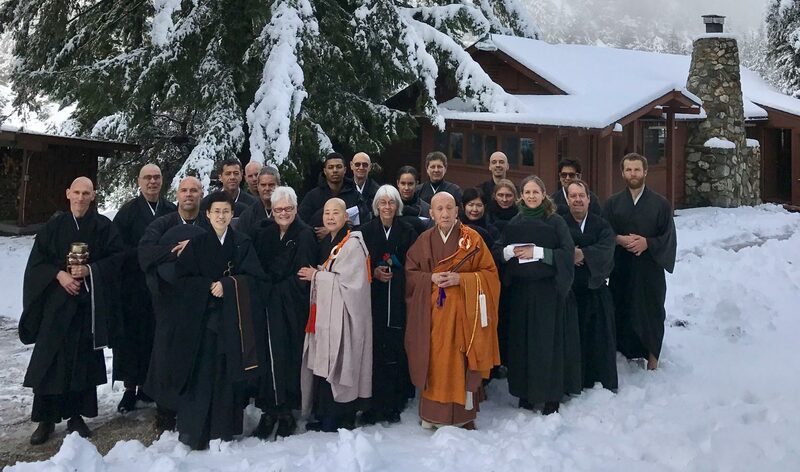 Rinzai emphasizes external structures – the retreat environment is the main anchor for practice and it includes ritualizing the entire day, sleep deprivation, boot camp style training, working directly with a master and an approach to practice that you could think of as storytelling. So in Rinzai, the environment is literally choreographed for training. The training is also very reliant on the teacher student relationship. In mindfulness the internal framework of techniques and strategies is designed so the student can take a more DIY approach to training – you choose what works for you. Mindfulness retreats are also far less choreographed (relatively speaking) and there is a lot more flexibility in the extent and nature of the teacher student relationship. On a Rinzai Zen retreat, each morning the Roshi (teacher) delivers a teisho – this is a formal lecture elucidating a case study of a classic Rinzai koan. For example, a well known one is: “A monk asked Joshu, does even the dog have buddha nature? Joshu answered Mu.” In addition to this seemingly cryptic anecdote, the text has pointers and a verse highlighting important themes in the koan. Taken together, these are meant to bring students to insight. Then, when you work privately with the teacher, you’re given your own individual koan to work on, which is structured as a kind of dialog between you and the teacher. Your job as a student in these interactions is to get to the heart of wisdom and reveal it, per the demands of the particular koan and to your teacher’s satisfaction. So koans pose a question about the true nature of experience that cannot simply be answered with logic or intellect. The wisdom has to surface from your own deep experience – you can’t imitate or fake it. Yet, your expression must be free from self-identification. So, YOU are never giving your teacher an answer. The answer is happening through you as a result of deep practice and realization. I was really struck on this last retreat by the way Rinzai prepares students to be teachers in the world, right from the start. A rare few students will go on to officially become teachers or masters. Nevertheless, they are taught to be communicators of the deepest wisdom with the clear intent of helping others. Right from day 1, koan practice asks that of the student. You are not simply taking on practice to heal or help yourself. You are taking on practice to communicate that healing to others – through an action, a word, a phrase, a gesture. All forms of personal expression are considered tools for teaching when they are done in a way that channels wisdom. In essence, koan practice is a training designed to help you be a deliverer of true wisdom, through your whole personality, free from self-preoccupation – so you have that to share with the world. The master is there to encourage, inspire and assess the degree to which you’re capable of doing that on demand, as well as your unique areas of growth. At Unified Mindfulness while our methods are extremely different, philosophically, we also relate to students as teachers right from the start of their practice. The moment you begin practicing you become more skillful with your attention and you have that to offer. When you experience benefits from mindfulness practice you naturally want to share. In sharing you become clearer about your own practice. If you’ve ever tried explaining to someone how meditation works you know this to be true. So, our intention is to provide a framework to empower you to share practice most effectively. Having clarity about the “how to” of practice, experiencing a range of techniques and procedures, understanding the concepts – these serve your own practice and at the same time enable you to share more easily with others. Many people appreciate the poetry of Zen whereas mindfulness, by comparison, can seem more dry and procedural. But I could never have trained in Rinzai had I not developed my mindfulness practice first. I needed that internal structure to support me on those long grueling days of Zen boot camp training! The fact is all meditation approaches lead to the same core insight. In my experience your unique personality shines through, whatever path you take. At UM it’s our job to help you access your own voice as a student and teacher. I’ll meet you where the snow meets the clouds. whenever we were never apart. where begins the letting go. quietly waiting for nothing to come.